Members of the Parish Council agreed to purchase 1000 stickers to distribute to parishioners to stick on to their Green bins. 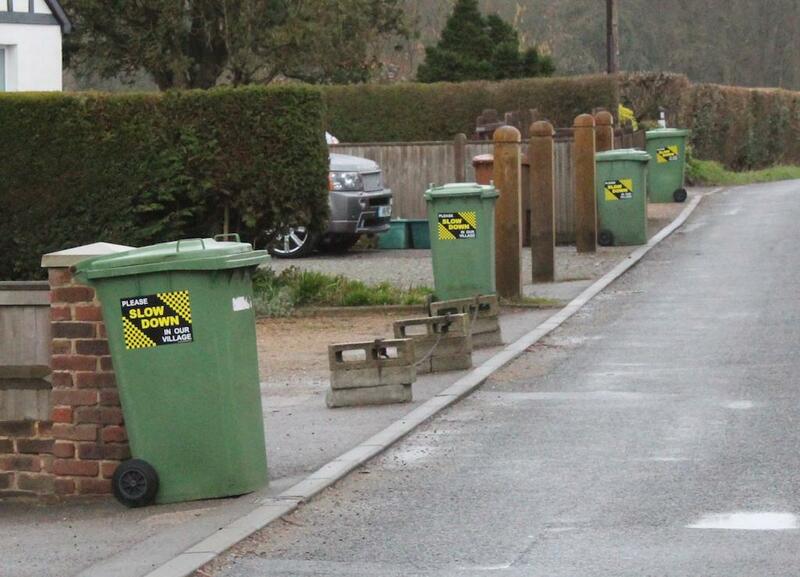 On Bin Collection days, drivers travelling in both directions are given a consistent message to drive carefully. Studies into this community approach have found a marked decrease in the general speed of traffic, not just on the days when the bins are out.